Yep, its official. This bump updates are very sporadic!! The weeks seem to be flying by and I just haven’t managed to get on top of documenting this bump. 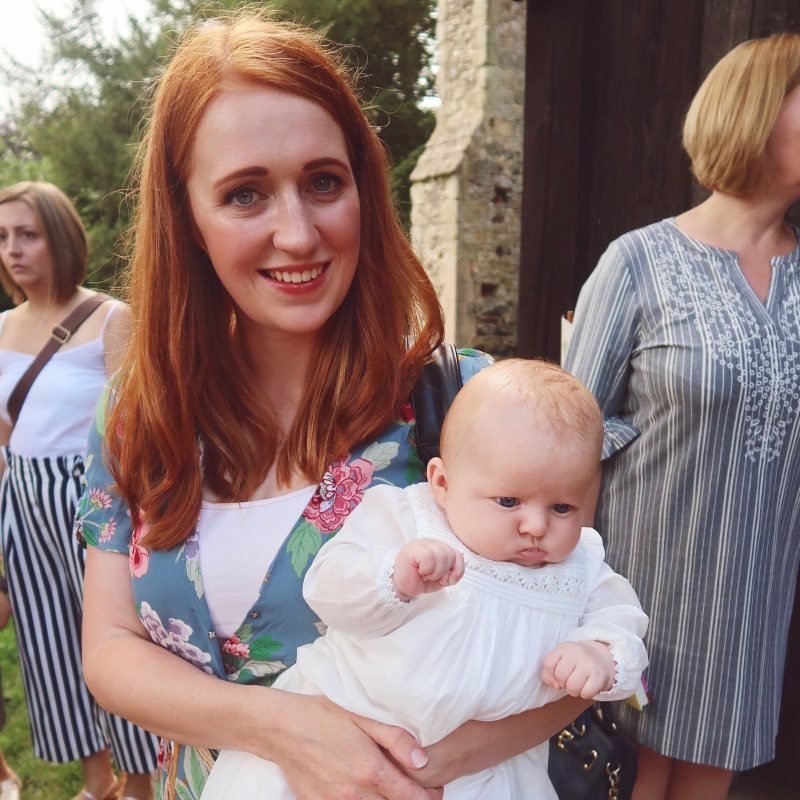 I was having a little blog break, which contributed to the lack of updates, but I really want to try and document the last third of my pregnancy better. My last update was actually the 22 week update, a lot has changed since then! So I am firmly in the third trimester now, I’m not sure how that happened but here we are! The bump is ever growing, kicking and wriggling. 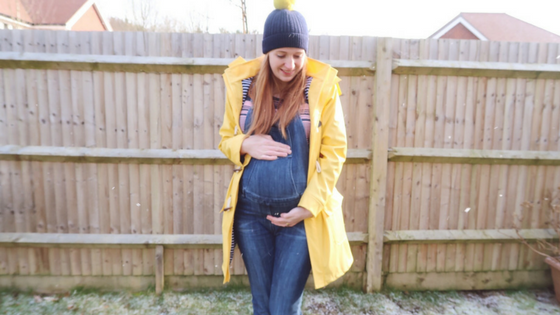 I had my 28 week midwife appointment last week. It was really lovely, as my usual midwife was off and the midwife who stepped in was the one we had for our last pregnancy. She partially retired about 2 weeks before Oliver arrived, she did one of my postnatal visits and obviously I haven’t seen her since! It was lovely to have a catchup, I just wish she was my midwife again this time around. Baby is growing well, although at 28 weeks he was only measuring 26cm, but I am sure he will catch up by the next appointment! He was finally head down (hooray!) as he has spent most his time in breech. Heartbeat was nice and strong as well. I really love it when you get to listen in to their little hearts, his was between 138-140bpm, as the midwife said, the typical boy! Apparently at this point, he is now the size of a cauliflower, and his skin is smoothing out as he puts fat on. He’s around 39cm big and 2.5lbs in weight. His testicles have now descended from near the kidneys into the scrotum as well! The vernix caseosa (that waxy white stuff they are born with on their skin) and the soft downy hair that has covered their body, is starting to disappear now. His eyes are also beginning to focus. I am starting to feel tired again now. Most days I could do with a nap, especially if we have been busy! I’m struggling to run around after Oliver already, and really find it hard when he doesn’t want to play ball. My eczema is still quite bad, which hasn’t been helped by the cold weather. I constantly need to wee, when I’m at work, I think I go at least 5 times a shift. Compared to the once or occasionally zero times that I went before, it’s a lot! Baby brain is real, if I don’t write it down, or act on something straight away I am 90% sure it will be forgotten. I’ve definitely slowed down as well, when I’m out walking with my husband I am constantly telling him to slow down! It’s usually the other way around so I know I am slow! When I’m out walking or busy around the house I notice I’m becoming breathless a lot quicker as well. I’m really looking forward to my maternity leave starting now. I have 3 weeks of work left, thankfully only one week is a ‘full week’ as I have some shorter shifts instead of the long days. I’m really looking forward to the long days being over, 12.5 hours, mostly on your feet looking after others is hard work!! Thankfully, I have some really great colleagues who have started making sure I get the ‘quieter’ bays of patients. Other than that I am feeling well. I’ve not really having cravings, I really love eating fresh fruit at the moment. I wouldn’t usually pick an apple up as a snack, but a nice cold pink lady from the fridge is most appealing. 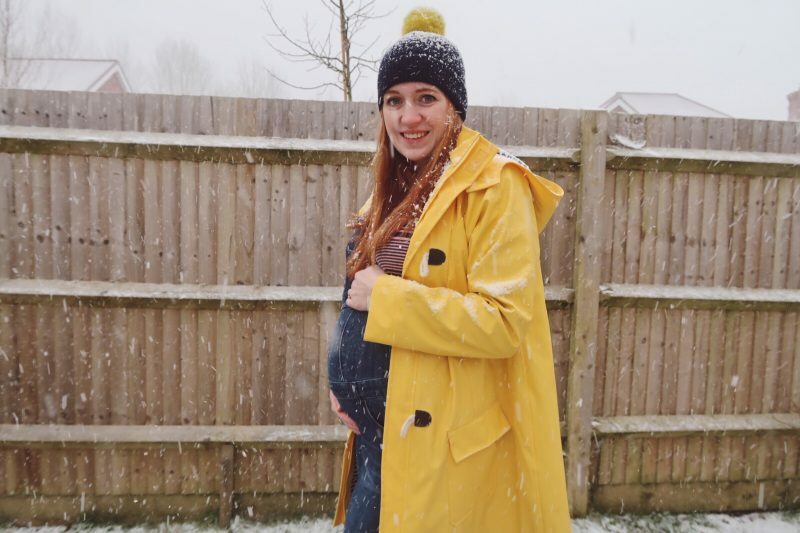 Its got to the point now that I can’t fit in any of my ‘normal’ clothes anymore, so I know I am properly pregnant now! I tried to put one of my normal tops on the other day and I had about half my belly hanging out! Not a great look! 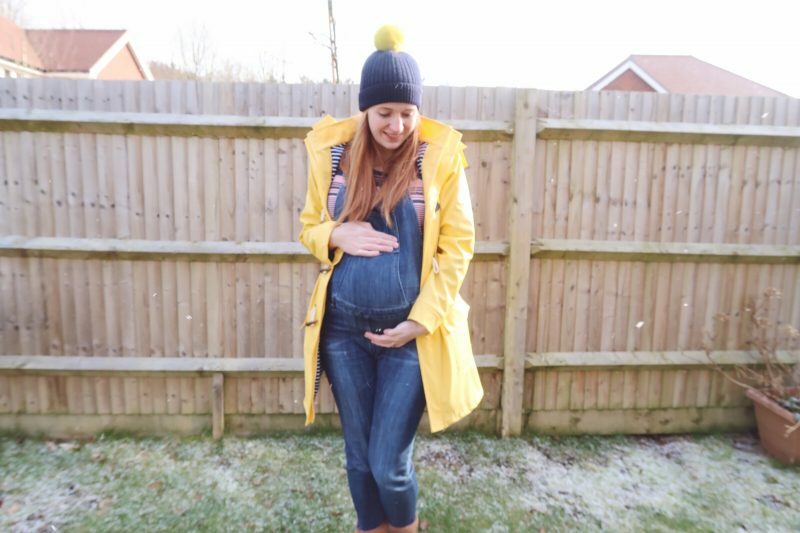 I am really loving dressing my bump, I much prefer it when you have a proper bump to dress, and you aren’t in that in between stage when you just look a bit pudgy! I’m looking forward to the next few months, getting all the baby bits together. I need to go through all of Oliver’s old clothes and see what I will and won’t be able to use. Going from a winter to a summer baby, there are going to be a fair few bits I can’t use as they will be a bit too warm! Now I am just soaking up this last trimester, although I can’t wait to have that little baby in my arms at the end. Hopefully I will see you again soon for another update!